Reza Rad is an Author, Trainer, Speaker and Senior DW/BI Consultant. He has a BSc in Computer engineering; he has more than 10 years' experience in databases, programming and development mostly on Microsoft technologies. 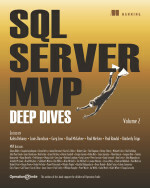 He is a Microsoft MVP in SQL Server for five continues years (from 2011 till now) for his dedication in Microsoft BI. His articles on different aspects of technologies, especially on MS BI, can be found on his blog: http://www.rad.pasfu.com .